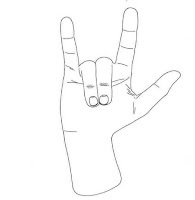 On Monday, the infamous Gene Simmons (better known for his work as the co-lead singer of the band Kiss) applied to the USPTO to register as a trade mark a hand gesture commonly known as the "devil's horns" on the rock scene. 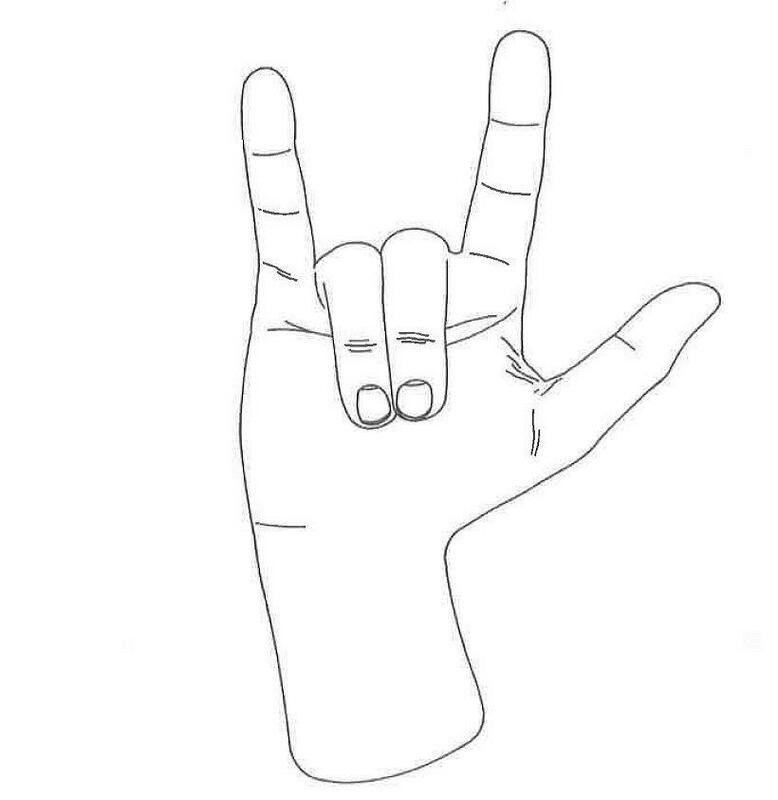 In the application, the sign is described as "a hand gesture with the index and small fingers extended upwards and the thumb extended perpendicular". The registration is sought in relation to the international class 41 targeting among other things "services having the basic aim of the entertainment, amusement or recreation of people" and the "presentation of works of visual art or literature to the public for cultural or educational purposes". The application further identified the types of services for which registration is sought as "entertainment, namely, live performances by a musical artist; personal appearances by a musical artist". More interestingly perhaps, is the claim made by Simmons that "the mark was first used by the applicant [him] or the applicant's related company or licensee or predecessor in interest at least as early as 11/14/1974, and first used in commerce at least as early as 11/14/1974". Simmons submitted an photograph of himself as evidence of his use of the sign. This claim is all the more surprising as the sign has enjoyed other meanings in different cultures before November 1974. Indeed, the gesture conveys "I love you" in some sing languages, or is used as a short-hand (no pun intended) for the adjective or expression "to be cheated on" in many Latin languages since the fifteenth century ("cocu" in French, "cornuto" in Italian). More damning perhaps is the slew of Twitter responses reminding Simmons of earlier uses of the mark in the context of entertainment, and indeed sometimes live performances by a musical artists. No other than John Lennon for his pose on the Beatles' cover of Yellow Submarine in 1966, and the band Coven for their album cover of Witchcraft released in 1969, have been called upon to dismiss Simmons's allegation. The application is currently with the USPTO, but it seems unlikely that the sign thus described will meet the requirement of distinctiveness, or survive dilution. 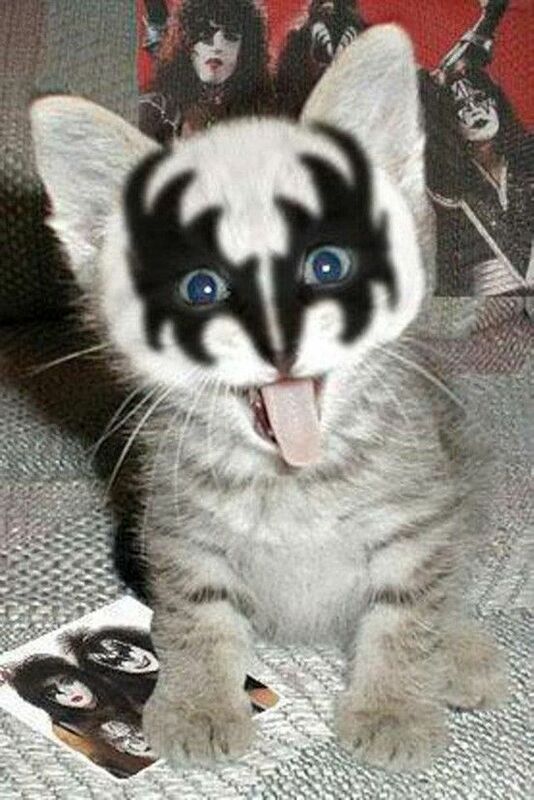 Needless to say this Kat, as many other rock fans around the world, will keenly watch out for the decision of the USPTO. Looking at "sign of the horns" on Wikipedia, he might be wasting his money. 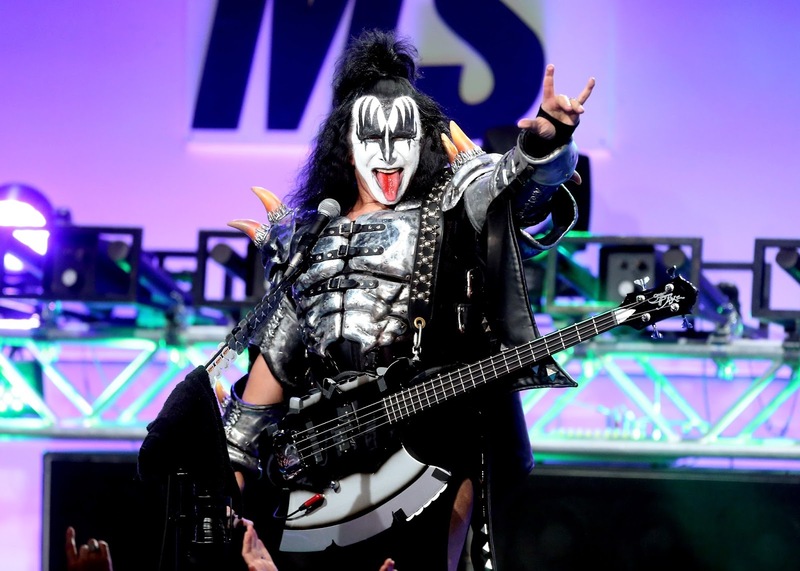 My eyes read "Kiss Singer" but my brain registered "Kissinger", and I wondered for quite an instant what hand gesture the doctor was known for. (I could only think of the double-V sign of his I'm-not-a-crook boss).